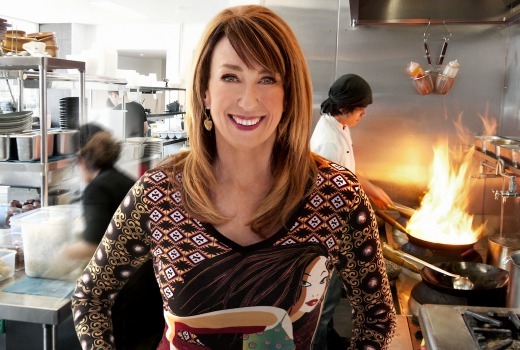 Sydney Shop Girl: JPG for Target: Save the Date. I don't believe this piece of news slipped me by and thank you to Instagram for rectifying the situation. 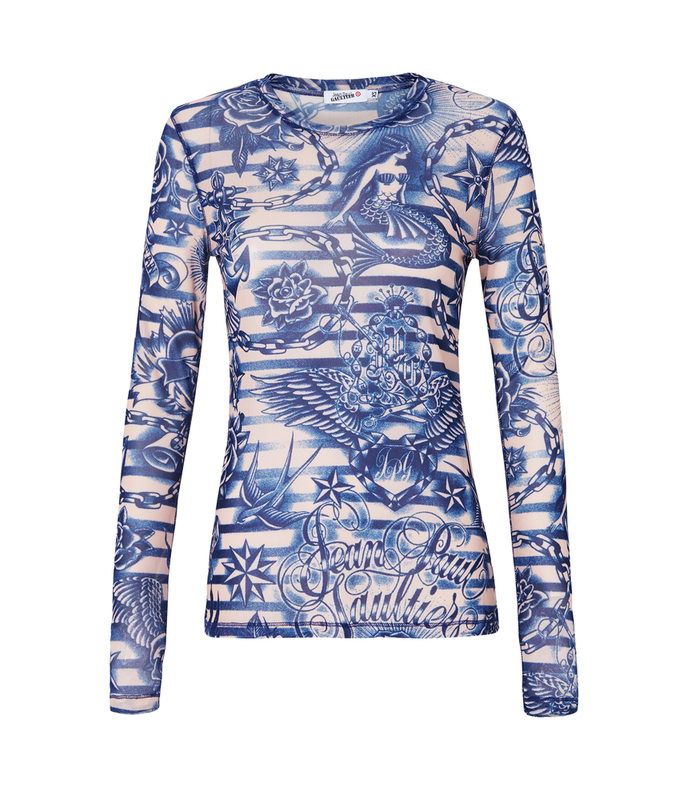 Target Australia announced the official launch date of their Gaultier collaboration on Monday. Apparently the ads have been on telly for ages but being without reception at my place, the news just passed me by. The reception issue is a story for another day. The indoor antenna I just bought isn't receiving anything but static and my plan B is getting Netflix. A sensible person would just install an outdoor antenna and be done with it you don't read this blog for common sense, do you? I'll update on the Netflix adventure in a bit. Anyway. Back to Jean Paul and Target. Gaultier and the face of the collaboration, Nicole Trunfio. The designer will be in Melbourne for the March 9 2016 launch parade and the range will be then be released to us the collab crazy public March 10 - online and instore. This article from the Huffington Post reveals the entire range as well as prices. So much to like, so much to need. So much so that I'm going to be planning March 10 around my online access. Here's what I'm hoping will be successfully put into my basket and then just as successfully paid for on the big day. The mesh top in blue at $49. So Gaultier yet so Maeve. Of course it's a must have for me. This quilt cover in the queen size is $129. It's Breton striped with a twist. Another one of those enough said retail snap decisions. It's a shame that there don't seem to be beach towels in the range. Because my Missoni for Target / Tarssoni beach towel from 2014 is still going strong. 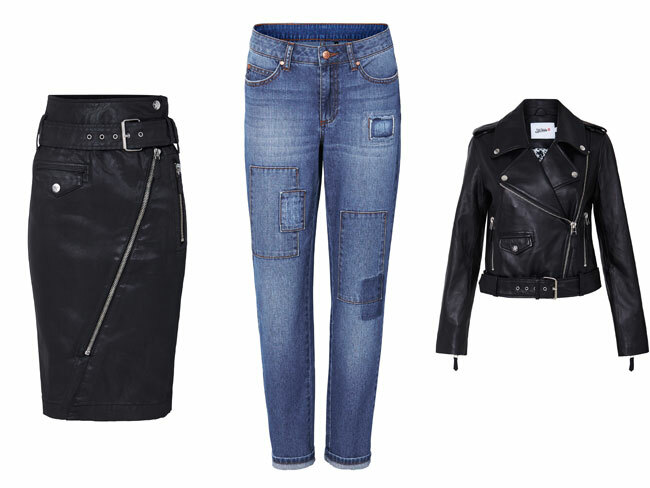 Of the leather and denim pieces, my favourite is the biker jacket ($299). But can I justify another leather jacket in my life? Probably not. The skirt is $99 and the jeans $79. There are also a number of pieces inspired by the sharp tailoring and corsetry of the Madonna era. It's safe to say I'll be passing on these but the bra below is $49. Went for chevron at work today. The skirt is another winner from Nife via Ozsale. Everything else are much loved pieces from the archives. 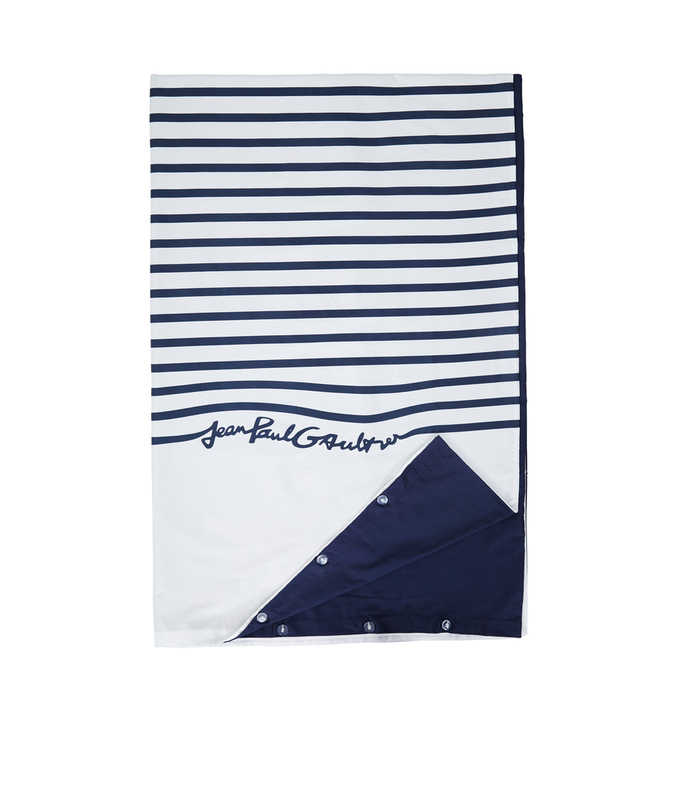 What's your take on Gaultier's collection for Target? I actually really like a few pieces in the collection! I thought I would. I won't be at a point of being able to try anything on by the 9th March though, shame! Otherwise I could see myself buying some things. I love the mesh top. Netflix: If you haven't watched House of Cards or Orange is the New Black or Narcos, then you need to rectify this. I love that skirt, though don't know how it would look on me. I wonder whether target does jumpsuits? I am a bit late on the uptake but am ready to try one. Sales are simply irresistible. Regardless of how cluttered your storage unit is with your excessive clothing range, it still doesn’t hurt to grab a piece or two more to add on to the collection.